Explore the streets of Vancouver on wheels, or escape the urban setting with a bike ride into the woods. 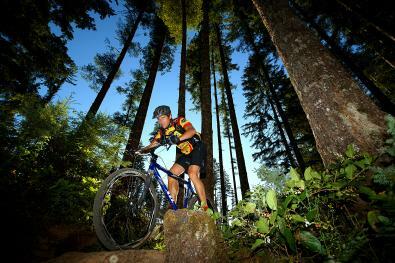 Whichever you choose, Clark County has accessible and thrilling options for road and mountain biking adventures. Hit the city’s urban trails for a pedal-powered exploration that will take you from the waterfront to Uptown Village and beyond. The Columbia River Waterfront Renaissance Trail is a five-mile paved path, lined with local restaurants, eye-catching sculptures, and historical markers. It will soon connect with the up-and-coming Waterfront community along the river for direct access from downtown Vancouver. You don’t have to travel far to find open grasslands and wooded areas surrounding the Burnt Bridge Creek Trail. The eight-mile, hard-surfaced pathway begins at the mouth of Burnt Bridge Creek and winds its way east, crossing over Interstate 5 and ending at Leverich Park. Just 10 minutes east of downtown Vancouver, Frenchman’s Bar Park offers more waterfront pathways for cyclists seeking out a scenic setting. With 2.5 miles of paved pathways along the Columbia River and Vancouver Lake, the Bar is the go-to spot for a breezy summer bike ride. Cyclists will also appreciate the extensive bike lanes on the NW Lower River Road leading to the park. Bike Clark County—a nonprofit that promotes bike access, education, and safety—operates a bike shop and repair center in Uptown Village for those quick fixes and other bike needs. Rent a bike, helmet, lock, and more for a ride around the city. 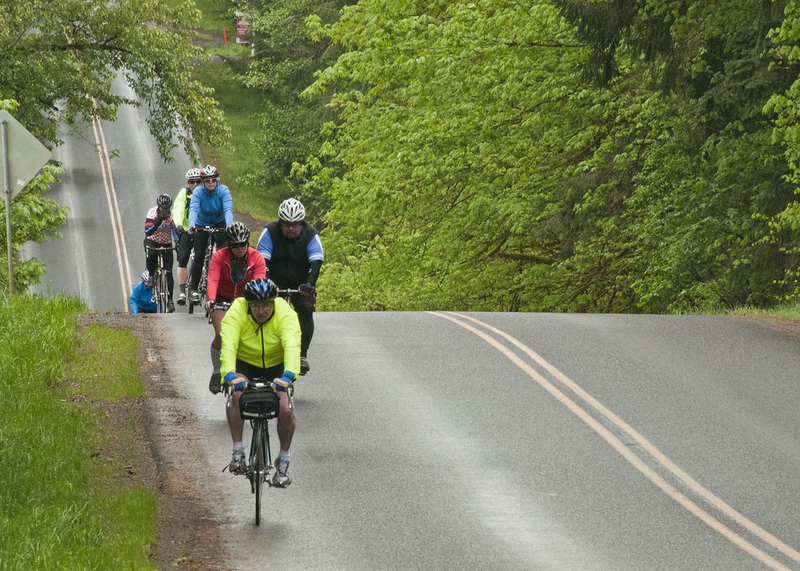 For more resources about road routes, contact the Vancouver Bicycle Club, which sponsors group rides throughout Vancouver and the Clark County area. Visit the City of Vancouver’s bike page to find local and regional maps, with a reminder to always wear a helmet due to a city ordinance. An interactive online bike map is also available on Clark County’s Geographic Information Systems (GIS) website, with bike route conditions accessed by either clicking on the individual routes on the map or opening the legend in the top, right-hand corner of the screen. For a woodsy rendezvous, the more secluded Lacamas Heritage Trail skirts 3.5 miles of gorgeous shoreline at Lacamas Lake. The shared-use, gravel trail is a local favorite, and cyclists can expect to see joggers, bird watchers, and families out for a walk. For a truly serene experience, visit at dawn or dusk to cycle past the calm waters of Lacamas Lake as they ripple through the reflected colors of the treetop-lined sky. The Cougar Trails at Washington State University Vancouver provide several miles of interpretive trails bordering the campus for multi-use. Find forested areas, creeks, and all-weather surfaces. Bells Mountain Trail, located in north Clark County, offers the adventurous mountain biker a thrilling ride beginning at Lucia Falls Trailhead. Don’t miss the view at the top before a 1.5 mile flowy, single-track downhill section and a pedal back to Moulton Falls Regional Park. Want to rent a performance bike for the day or test one out before buying it? Head to Camas Bike & Sport for a fleet of options.